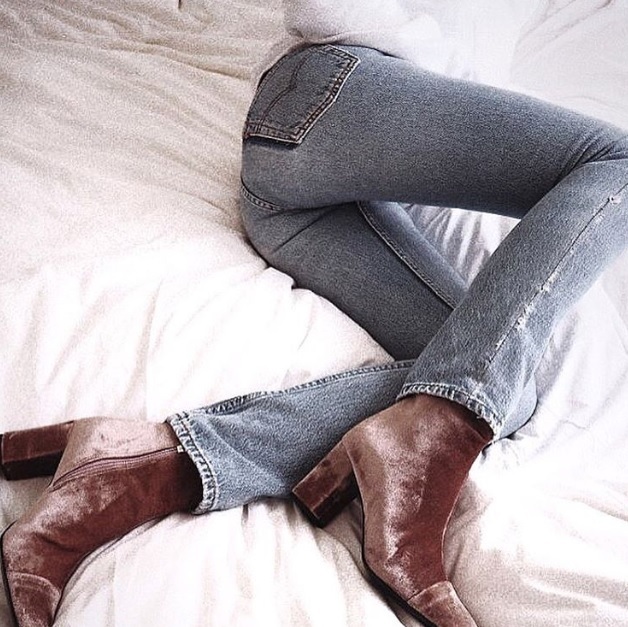 Velvet is the classic fabric for winter. But you can wear it also in the fall season and look gorgeous in it. The soft and luxurious material will be very comfortable on your body this season. Last year, velvet was a big hit. This time too, it’s going to be a huge trend. In fact, with the fall season just starting, we are already seeing many fashionistas bringing out their velvet dresses and wearing it in many ways. 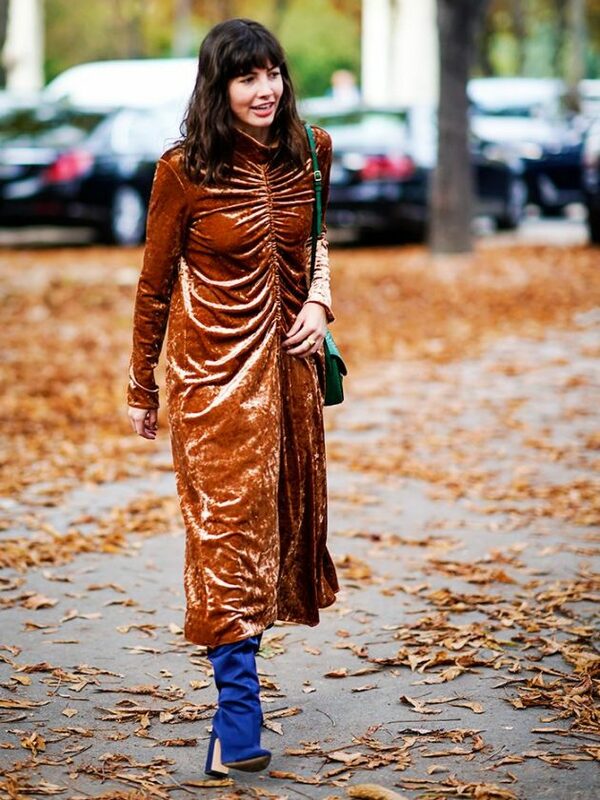 Here are some gorgeous ways of wearing velvet in the fall season this year. Check them out. You will get some serious fashion ideas from here. Be the rock star at office by wearing a red velvet blazer with your leather pencil skirt. This can be an awesome Friday dress for a casual setup. Wear it with heels and expose a bit of your thighs. Your legs will be transformed into a perfect match for the skirt and dress. You will have a glam ensemble. The blazer will also look cool with denim off-duty, if you are away with friends. Fashion from the 1990s is back with a bang. So bring out your denim jacket and wear it with a cropped sleeveless turtleneck that you haven’t been wearing for a while. You can wear this outfit with your embroidered red velvet skirt, boots and brown stockings. This will make a fierce style statement this year. Velvet is usually seen in solid colors. However, many designers are now playing with prints and patterns. Printed velvet with a casual tee shirt will add both personality and depth. This will be a great outfit for creative people who want to dress artistically. Just look at this floral print dress. This will surely steal your heart. Black velvet looks rich always. This season, however, you will find a lot of new colors, which is going to make the fabric look more contemporary and luxurious. Go for jewel toned pieces in ruby red, sapphire blue, burgundy, plum, burnt orange, and gold among others. There is a lot of velvet clothing available in light blue, ballet pink, gray, and light blue shades. The deep purple velvet fabric will also look very nice. Show your style and figure with a green or emerald strapless velvet dress. You can pair this with heels or boots. You can pair this with a necklace and a statement clutch. The look and texture will be perfect for this season. This outfit is sure to be an eye-turner. You can bet on that. Here’s a fabulous way of wearing the velvet trend this year. It is also the easiest way of wearing it probably. You can start off slow by wearing a Bordeaux or blush pair with your denim, paired with a cozy sweater. Then proceed to something bold, such as forest green or electric blue.